The iconic BMW R80 custom build 'Lucille' from Gasoline is now up for sale! 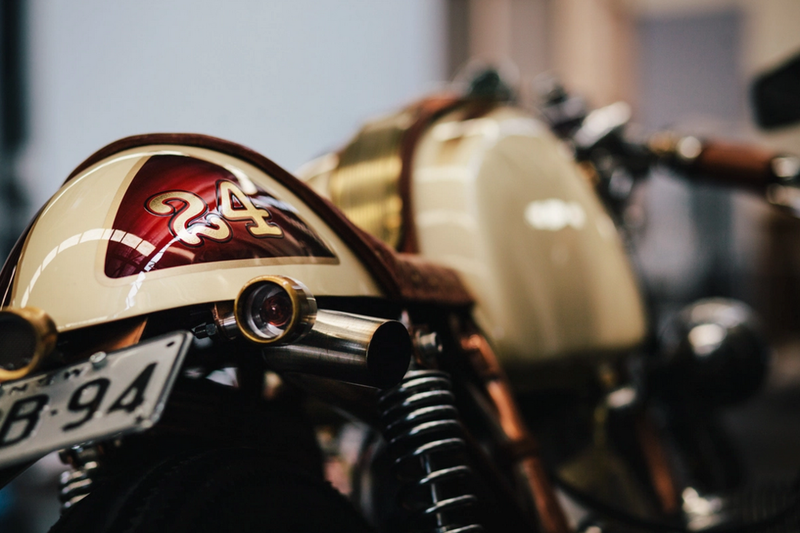 Bringing together some of the most professional and experienced metal fabricators, painters and artists in the country to transform and create this immaculate BMW Cafe Racer. Built around its original four stroke, two cylinder horizontally opposed boxer 800cc Engine, the frame has undergone a copper dipped process and its tank masterfully painted along with its metal fabricated rear end. All its mechanical components got some very special attention to ensure it was running beyond optimal performance and looking even better. As a finishing touch to the beautiful machine Artist Neo Dutch and also cousin of Von Dutch skill fully engraved a Japanese inspired design on both the fuel cap and triple tree. Come into the shop and see it on the showroom floor for yourself, the sheer amount of work that has gone into this build is staggering.